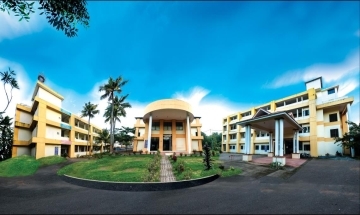 Valia Koonambaikulathamma College of Engineering and Technology (Approved by AICTE, NewDelhi and affiliated to A P J Abdul Kalam Technological University) is an auspicious venture of Valia koonambaikulam Sreebhadrakali kshetra Trust, Vadakkevila.P.O., Kollam, Kerala - an established charitable religious trust. The college is established with an objective that it provides quality education to the deserving students on merit without any barriers and to provide adequate facilities and concessions to the poor students. It is set up to provide facilities for the most demanding branches of engineering.